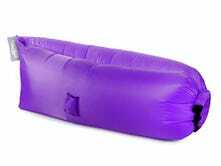 Twisted Root Inflatable Hammock, $40. Multiple colors available. Just because you’re outdoors and/or floating on a body of water doesn’t mean you can’t have something comfortable to sit on. 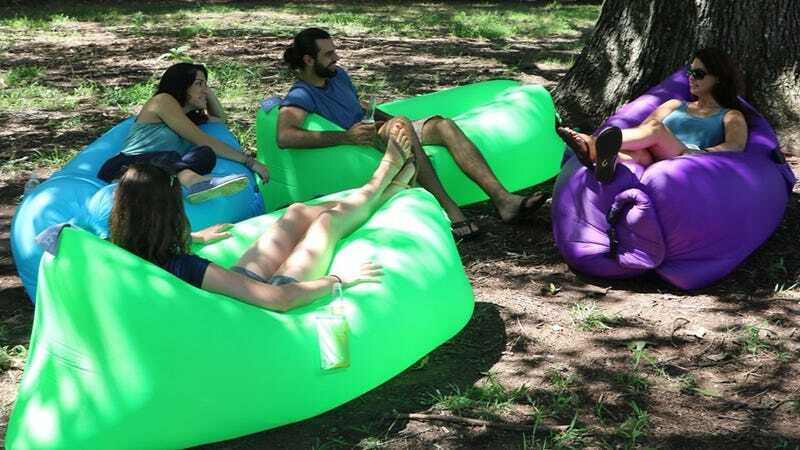 This $40 inflatable blob might stretch the definition of “hammock,” but it certainly beats sitting in the dirt. This particular model includes a water bottle holder, three side pockets, and a stake to hold it in place. Here’s my boss trying to inflate one in the office.